This crisp and nutty cookie is made with organic almonds and Swedish light syrup that has a distinctive brown sugar-like flavor. 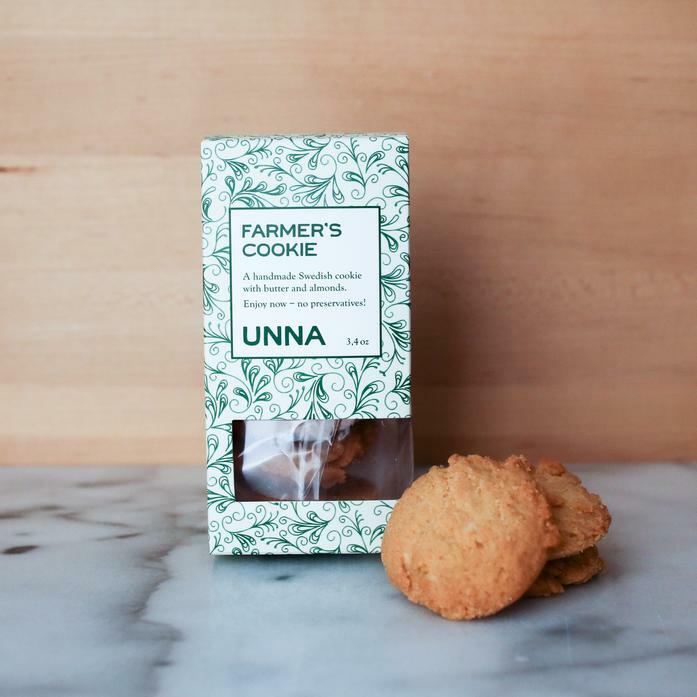 All of UNNA Bakery's cookies are handmade in Harlem using only the finest ingredients to ensure the flavor and texture of these delicious treats. No preservatives are added. Each package contains 3..4 oz of cookies or approximately 8-10. Ingredients: Organic flour, sugar, organic butter, bicarbonate, Swedish light syrup, and almonds.